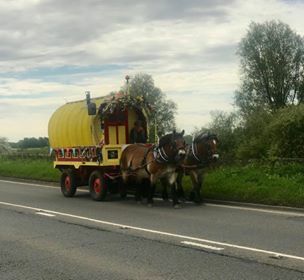 Banbury resident, Daisy Sadler, has started an arduous journey from Banbury to Edinburgh and back, using just a Gypsy top waggon, her two faithful Belgium draft horses and dog Tad, to raise money for The Brain Tumour Charity. Daisy, who will travel roughly 50 miles a week via the UK’s minor road network, expects her one-thousand-mile trip to take five months to complete. Inspired by the tragic story of Imogen Whitby, a local two-year-old who died of a brain tumour in January 2017, Daisy is hoping to raise funds for The Brain Tumour charity; Brain tumours are the biggest cancer killer of children and adults under 40 years in the UK. Daisy’s Belgium draft horses, Olive, 13 and half-brother Arthur, 11 weigh nearly two tonnes between them, and have lived with Daisy since they were imported from Germany in 2013. 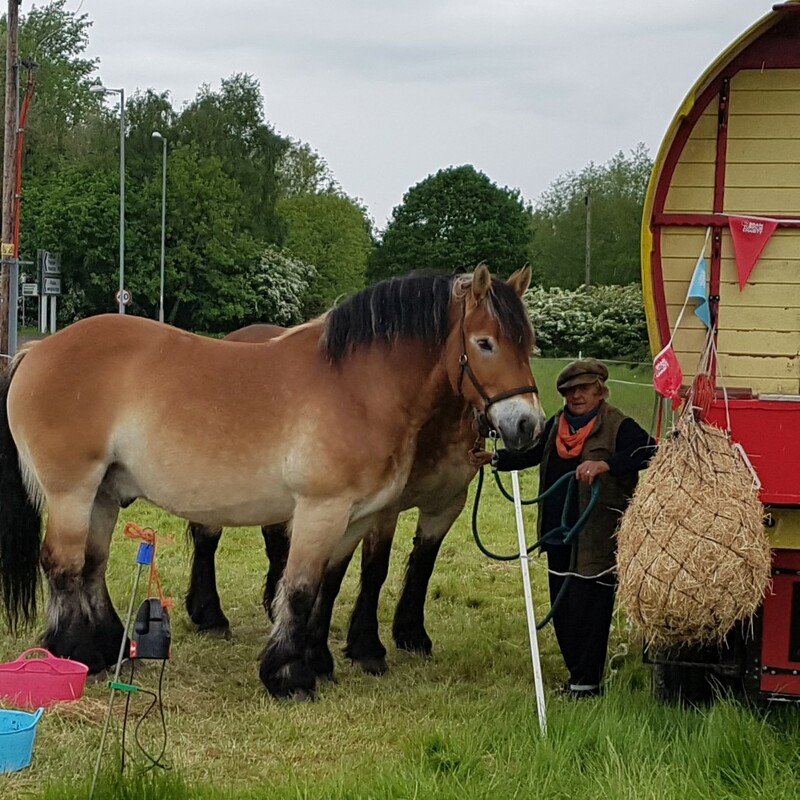 This is not the first time Daisy has travelled across the country via horse and cart, in 2015 she travelled from Banbury to the Lake District, a trip which took 10 weeks to complete. 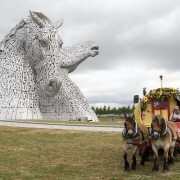 Since then she has been keen to plan her next adventure, however unfortunate setbacks included Daisy’s battle with pneumonia in 2017, and surgery for horse Arthur to treat a deep-seated hoof abscess in 2016. Geraldine Pipping, The Brain Tumour Charity’s Director of Fundraising, said: “All of us at The Brain Tumour Charity were deeply moved by Imogen’s story and by her parents’ determination to help others following their terrible loss. It is a fierce reminder of why we have to find a cure for brain tumours, which kill more children in the UK than any other form of cancer. We are hugely grateful to Daisy for raising awareness and vital funds for brain tumours, so that young lives are saved, and more families are spared the heartache caused by this devastating disease. “We receive no government funding and rely entirely on voluntary donations and gifts in wills, so it’s only through the efforts of supporters like Daisy that we can work towards our twin goals of doubling survival and halving the harm caused by brain tumours. The Brain Tumour Charity is the UK’s largest dedicated brain tumour charity, committed to fighting brain tumours on all fronts through research, awareness and support to save lives and improve quality of life. Daisy started her journey on Sunday 22nd April and is currently making her way through North Oxfordshire. Followers can track Daisy’s progress via Facebook (search: Syds Plods Go North) and donate via https://www.justgiving.com/fundraising/sydsplodsgoesnorth or text ‘SYDS73’ followed by the donation amount (i.e. SYDS73 £5) to 70070. © Copyright 2018 - Elan PR.